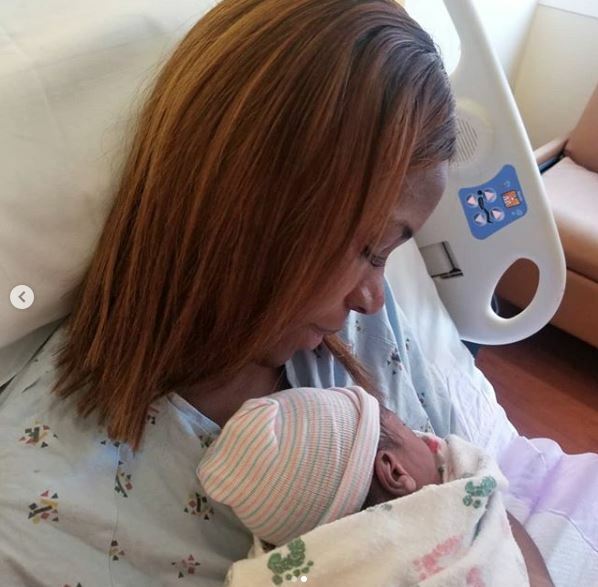 Africa’s foremost blogger, Linda Ikeji has successfully delivered her a baby boy in Atlanta, United States of America. Millionaire gossip blogger, Linda Ikeji boldly announced through her Instagram account that she has been delivered of a baby named J. She uploaded an hospital photo of herself gradually recuperating on a sickbed covered up with the custom maternity bedsheet. The 36 year old whose boyfriend remains unknown later unveiled the face of her child as she craddled him. Her sister, Sandra who was with her during labour revealed that she just pushed twice and baby J came out crying. “Mummy J pushed just twice and baby J came out crying, I haven’t seen Labour as easy as this, the Doctors were so happy cos this happened within minutes..